On Friday 9th June 2017 I had the opportunity to present some of the ideas that have come out from TeachConnect. 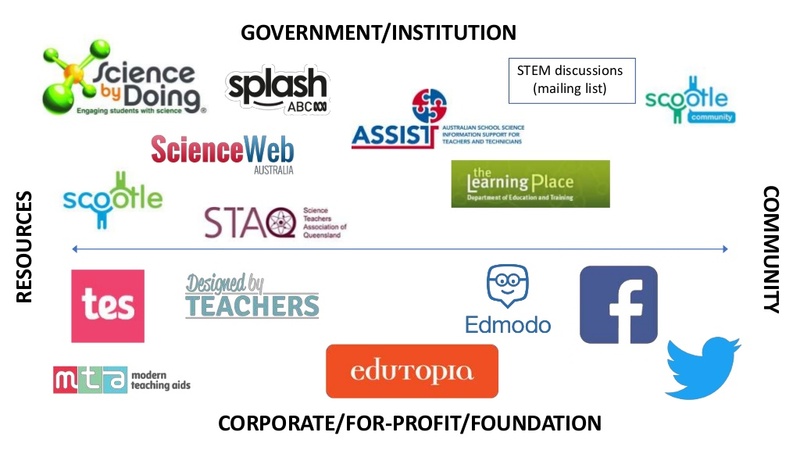 The presentation was called Online support for STEM teachers and in the audience we had representatives from government and the councils of deans of science and education. There might be a lot of online support available for teachers (in terms of resource banks and open online communities) but it’s incredibly confusing. What we really need is for the creation of a professional learning network and a professional identity to be supported by the universities from day one of initial teacher education. What we need to achieve this is, more than anything, leadership from the Deans of Education and Science. The technology and the engagement with students is achievable, but without leadership it will always be an uphill struggle. Acknowledgements: Many thanks to Les Dawes, Kathy Nickels, Melissa Nugent and Belinda Eslick for early assistance with this presentation.